The latte were constructed by the Chamorros between 1200 BP to 300 BP (before present) and was in use up until around the time the Spanish colonized the Marianas in the 1600s. 2. Latte is unique to Guam and neighboring Mariana Islands. Latte are prominent remnants of ancient Chamorro culture found in Guam, Saipan, Rota, and Tinian. No other culture is known to have used this particular form of stone architecture. 3. There are two stones in a latte. Each latte is comprised of two stones. The shaft stone on the ground is the haligi, and the cap stone is the tasa. The pillars are made of limestone, basalt, or sandstone and vary in height from about 60 centimeters to more than three meters. 5. There is a park built around a set of latte. One of the best places to see latte is at the Angel Santos Memorial Park in the capital village of Hagåtña. Visitors will find eight latte stones that were built and used by ancient Chamorros to support their wood and thatch homes. 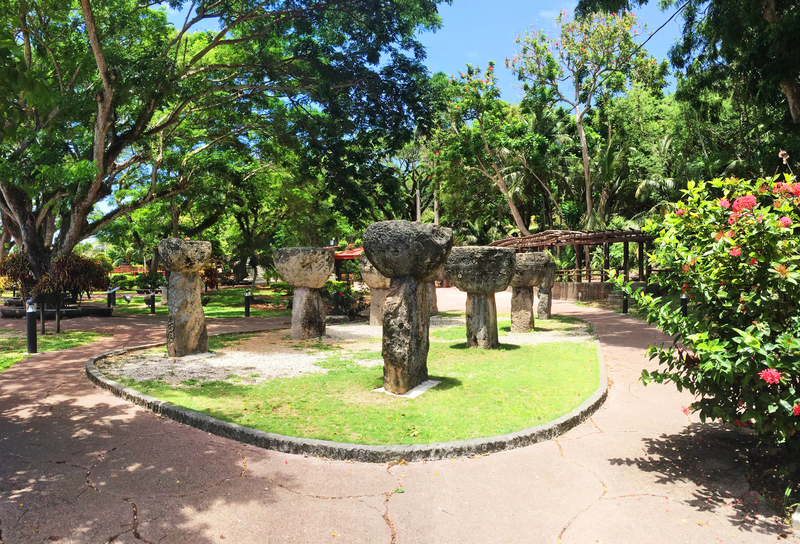 The park is one of the stops along the Walking Tour of Hagåtña. 6. The biggest latte is a symbol of strength and freedom. As the Statue of Liberty welcomes visitors to America, the Latte of Freedom rises 80 feet above Guam and is a welcoming symbol of freedom in the Western Pacific. The monument was built using pennies collected by Guam schoolchildren and provides a panoramic view of Guam’s western shores. The Latte of Freedom is located at the Ricardo J. Bordallo Governor’s Complex, also known as Adelup. The Latte of Freedom is open Monday to Friday from 9am to 3pm, and Weekends and Holidays from 9am to 12pm. Entrance to the observatory is $3 for adults and $1 for children and senior citizens. 7. You can make a latte with your hands. 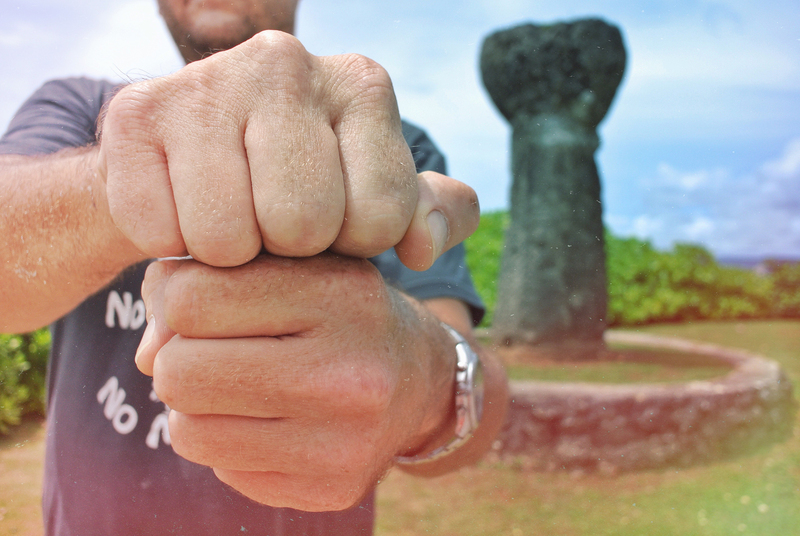 Place one fist (tasa) over the other (haligi) to make the symbol of Chamorro strength. Congratulations! Your knowledge of ancient Chamorro pillars is now strong like a latte.